/u/haterbehatin and I were talking in the game thread and we became curious about how Yakupov stacks up, in terms of Games Played, Assists, Goals and Points Per Game, against the other forwards drafted in the 1st round of the 2012 draft. I commented in the Jackets GDT with a table that included the first 5 picks (I had Yak, Galchenyuk, Forsberg, Faksa and Girgensons in the table)...in which I now realize I skipped over Grigorenko because I'm incredibly observant. /u/haterbehatin suggested putting together a table of the rest of the first round forwards, so I figured I'd post that. This is a text post, so no karma earned if that's anyone's concern. I think it's worth noting that after the 1st round, there are a few players who have been at least a little bit productive in the NHL. Looking at the data, Yak and Gally have been pretty damn close as far as point production goes. In the same number of games played Galchenyuk has 16 more points. I'm not sure of the minutes Gally has gotten over the past 3 seasons, or the people he's played with and whether he did so consistently, but considering the season Yakupov had last year, the turmoil of the team and the linemates he's had, that's not bad at all. The only player with a higher PPG is Forsberg, but Forsberg has played a little under half as many games as both Galchenyuk and Yakupov. Hertl's PPG is also slightly higher than Yak's, but like Forsberg, Hertl has played less NHL games (nearly a season's worth). I think it's also worth noting that Galchenyuk only has 1 more goal than Yakupov, and Yakupov has 14 more than Hertl does, and 18 more than Forsberg (actually, that kind of goal scoring from Hertl and Forsberg is rather impressive). Say what you will about Yakupov, compared to the other forwards drafted the same year as him, he's right up at the top of the board like he should be. We have to remember this is only his 3rd NHL season, and he's still growing both as a young man and an NHL player. He's also played 7 more games already this season than last, and is 3 points off his rookie/career high of 31 points. Guess I should cite my source. Used hockeydb.com. Wow. That is a stark difference. Screw Eakins. You can tell Yak has some major confidence right now, and it's dramatically affected his game. He and Roy have some real chemistry and I'm thrilled with the turn his development has taken since Eakins was given the boot. Looks like Nelson played himself onto the team. Before we get too excited, I would like to see how he does next season when the games actually matter. This team has a very bad habit of playing better once they are out. Thanks for that btw. Mind if I ask where you found all that/use this in the overall comparison between Eakins and Nelson I'm working on? For Nelson, I just added up all the points on his stats page on the oilers website since the Kings game on December 30th because if memory serves, that was Nelson's first game alone. Edit: And yes, feel free to use this info if you want. I should point out that yak has also missed a game under Nelson ([email protected] 24th, 2015) just in case that matters to anyone. Awesome, thanks! I've been manually going through the splits on hockey reference. It's a little time consuming so if I have other resources it'll work out better. His resurgence as a productive forward is so exciting it's ridiculous. If he and Roy can keep this up next season too, I can see him passing Gally in points. Ya I love Yakupov. He's a keeper. He really feeds off winning energy too. Hard to not like him. That draft year was weak for forwards so this isn't surprising. There were some solid D that went in the first round that I wouldn't mind swapping Yak for. As far as Gally, his production in the first two years were suppressed by being on the third line and limited PP time. He was put on the top line this year and his production shot up but now I think he's back on the 2nd line. Yeah that draft looking back is really weird and forced us to have to take a less than ideal pick. Its really fascinating to see how everybody turned out. Considering what we knew at the time we had to take Yak. It was Murray or Yak and Murray had a lot of question marks as to whether he could be a an elite #1 D. No other expert or draft ranking had anybody else #1. Galchenyuk was close (most had him at #3) and it seems the scouts were right here, he did turn out to be a pick comparable to Yak. Forsberg for mths was considered a top 4 pick then he dropped for reasons I cant recall but when picked was considered a steal. For us it seems it might have been better to get a D man but unfortunately Reilly or Trouba were not good enough at the time to be in discussions as a #1. Good detective work. Would love to see this whole data set with points per 60 minutes played. Like most people, I think that the difference in coaching style is doing Yak worlds of good, but some people like to point out that Eakins also gave Yak half as much ice time, so the argument is that it's natural he's getting more points. So if there was a way to factor in P/60, I suspect that would make the point even more credible. P/60 is just points divided by ATOI right? I could work that out under each coach a little later today if anything. I believe it's points divided by ATOI, times 60. Side note, time on ice is such an interesting factor to me. Sometimes a guy plays too much, then gets fatigued and average production suffers. Other time a guy doesn't play enough, then can't get any production momentum. Lots of elements involved in the chemistry. Hockey has so many moving parts, it's easy to see why stats are more developed with other sports. Alright, well I could do that. Stats in general should be evaluated with context. At the moment, every time we learn a new concept in my stats lectures there's 3 more issues than the last one we discussed and how they should only be used in certain situations. Don't get me wrong, they're a great tool, but there's a lot of different factors that are hard to account for in everything from studies to sports that stats can help, but not entirely attribute for. Like you said, there's playing time for some players. Some guys like Weber can play 28-30 minutes a night whereas most forwards play under 22 (I think SN said during the broadcast last night that Nuge actually averages the most minutes, at 23, of any NHL forward) but can be incredibly productive. Then there's playing with, or dealing with, injuries, shifting linemates (although I suppose that could be accounted for), coaching strategies, opponents (again, could be accounted for with a lot of effort). Stats shouldn't be the end all be all to discussions, which I think hopefully most people won't assume they are ("intangibles"), but they certainly play a big role in sports, which is always interesting. Oh yeah, context is huge. I think that's why people are skeptical of hearing statistics, even the most cut and dry kind, because the same data set can be presented different ways to make different conclusions. Good stats people, economists and so on, are the ones who are more consistent at arriving at accurate conclusions. Otherwise, it's all data mining and correlation hunting. Ever read Freakonomics? I love that book because they present extremely compelling correlations, and discuss how they got them and whether or not there is validity to the stats. And of course, now every idiot can compare things on Google trends and we get a good laugh at how the emergence of dubstep coincided with a Martha Stewart recipe, or whatever they find that's supposed to discredit the entire field of statistics. Absolutely. Even accurate conclusions have errors, but nobody wants to discuss the probably of error in a statistic because it could weaken their argument. Just like you can't be certain about an outcome in sports before it happens, statistics should be used but not entirely relied upon. No! I'll have to add that to my list, thanks! I have to read Moneyball still, loved the movie and it's an interesting topic. Gotta love statistical availability to the wide population. I mean it's fun seeing if you can come up with some correlation out of nowhere, but as much as I hate statistics, it's rather fun to see them in play, especially in sports. Yak is definitely one of the best players on the team every game. That being said, we should of tried to trade down and pick up a couple of picks because we needed more defensemen and prospects in general. We should have considered doing that one of the years where we got the 1st pick. They needed centers. Yak was the right pick that year. He was a consensus #1 and the Oilers already had Dmen in the pipe. 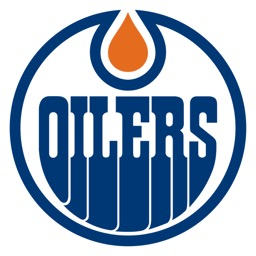 A subreddit for the Edmonton Oilers of the National Hockey League. 5x Stanley Cup Champions.